Throughout human history, there has been some bizarre forms of currency. Salt, jewelry, snakes, potatoes – all have been used in lieu of cash. In the Middle Ages in Russia, squirrel parts were used as a form of currency. Their pelts, claws, and snouts all served a purpose in trade. Less harmful to those poor squirrels, the history of cowry shells and their monetary value can be traced through Chinese culture as far back as 16th century BC. In our family, currently, we have reverted back to those simpler times when food served as a bargaining tool. Although I live a few hours from the rest of the clan, tales of a cookie to end all cookies have circulated their way down south and into my kitchen. 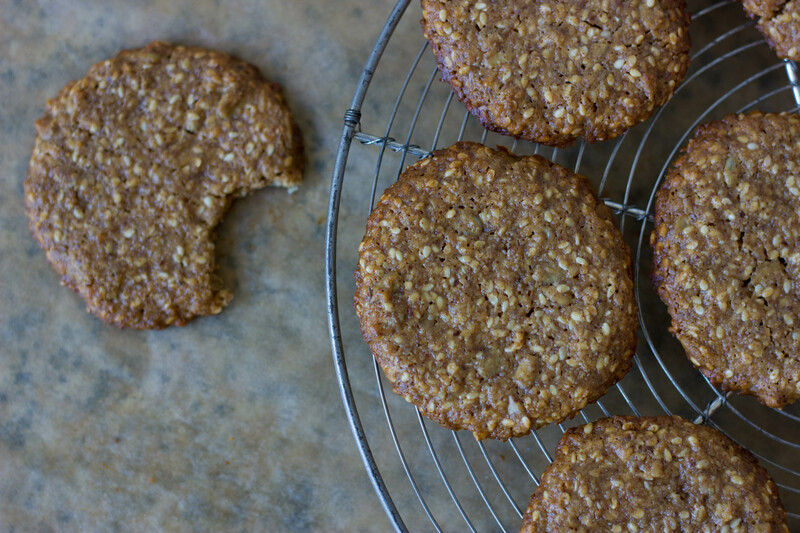 Crispy on the edges, almond-y and soft in the center, and just sweet enough, our mother has taken to bartering for these cookies and won’t let Pearlie enter our childhood home without them in hand. Agh, if only all spats could be solved with a little baking. 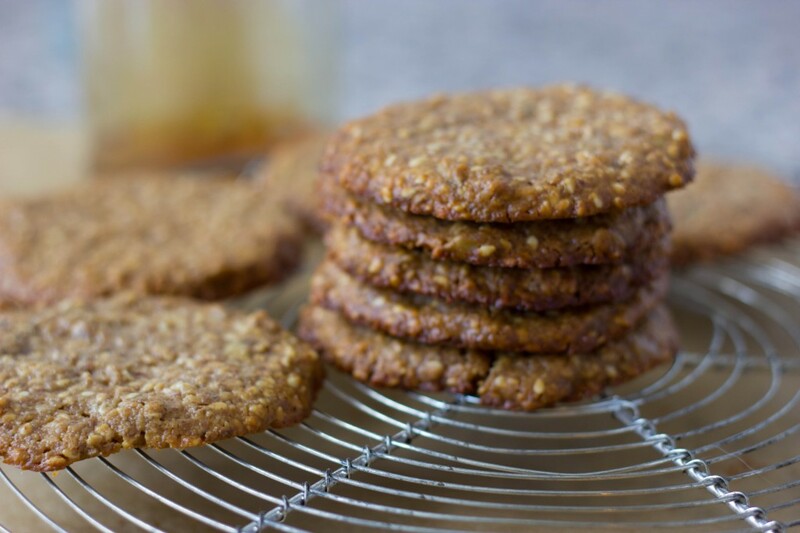 Vegan (if you do not wish to use honey, agave would work splendidly), and gluten-free, these cookies are packed with tons of healthy fats and slow-digesting fiber. 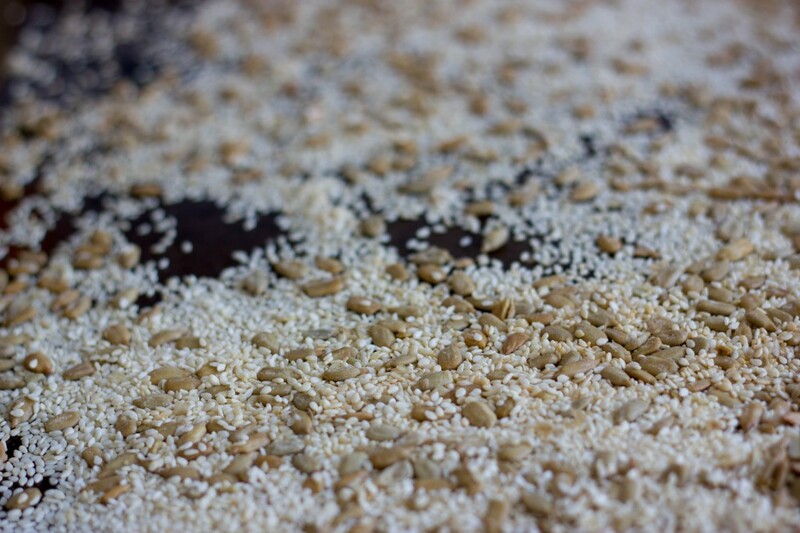 Cholesterol- lowering and high in manganese and copper, sesame seeds in particular are quite nutrient-density. They also contain a substance called lignans, which in studies have shown to regulate body weight. I pack them up for my commute or chomp on a few when I need a quick breakfast. This weekend, Pearl and I will at long last have a weekend together. Baking, picture-snapping, and an abundance of sissy-ness is on the agenda. 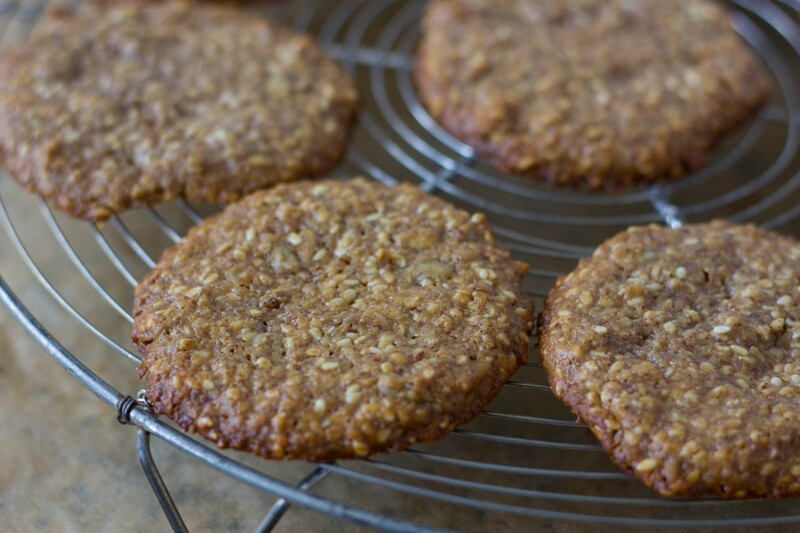 She is just a short hour-long plane ride away, and I have let her know that she will not be allowed in the city of Los Angeles unless she packs a few of these cookies. I could just make some more myself, but that would be beside the point. Optional: toast the sesame seeds and sunflower seed in the oven for a few minutes, watch to make sure they don’t burn. 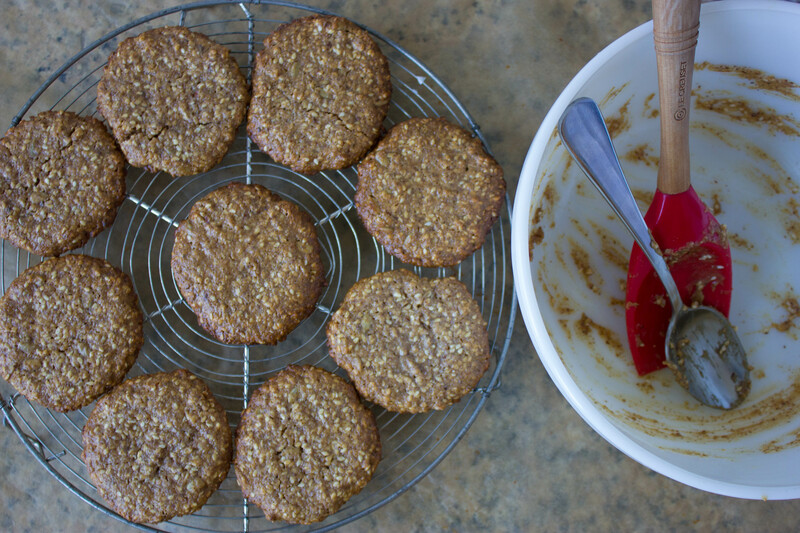 In a small saucepan, over medium heat, combine the honey and almond butter until well mixed and warm. 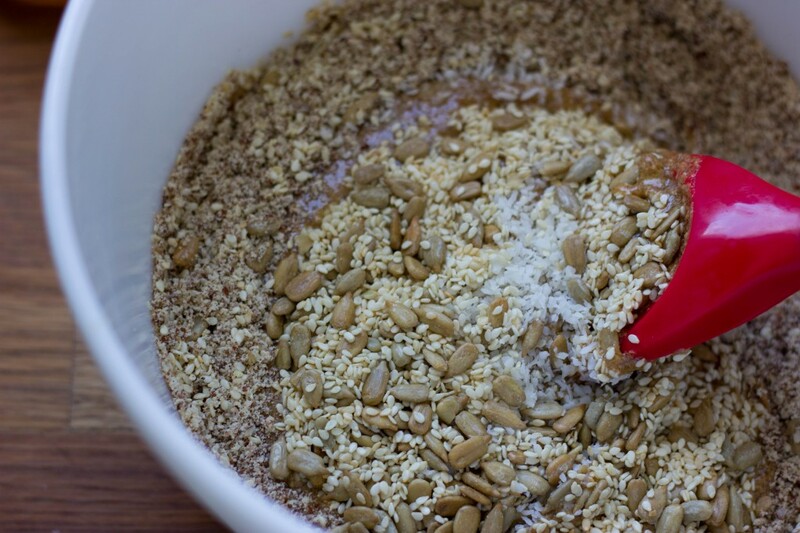 Â In a large bowl, combine all of the dry ingredients and then add the honey almond butter mixture. Stir to incorporate well. With a spoon, create tablespoon size balls of dough and spread out on a greased or parchment lined cookie sheet. With a fork, flatten each ball down flat with a criss cross pattern. 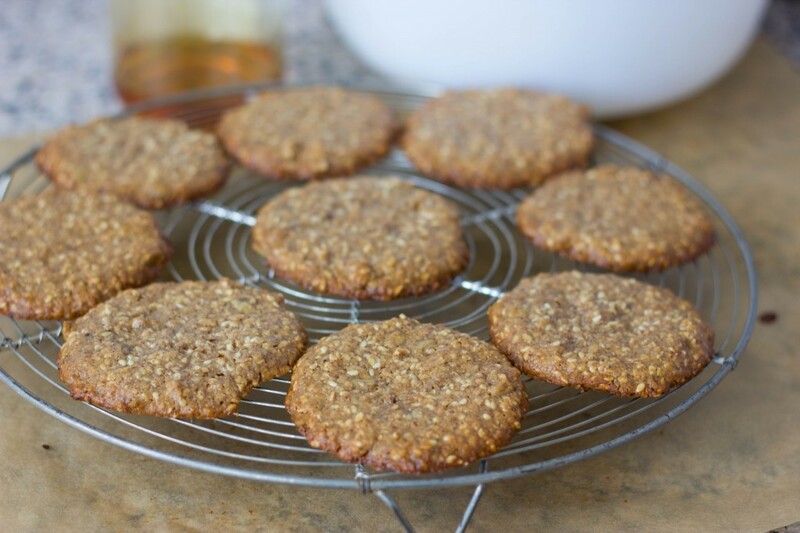 Bake for 6-8 minutes, but keep an eye out that the edges do not burn as honey cooks quickly. These are my favorite cookies. The fact that they are so good for you does not make them any less amazing.